I think it is about time I figure out how to climb the first hill after the gate. The rain over the weekend added some challenges to the trail . After several tries I was able to get to the spot which is the furthest I have been able to obtain. I think if I keep working on it I should be able to make it soon. 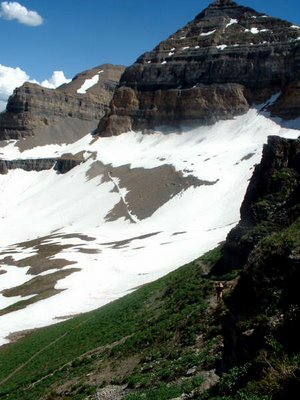 Another picture from the hike to the top of Timp a couple of weeks ago. Brian Head Epic 100 -- Finished!